We are in countdown to Canada Day! Bloomex is very proud to be Canada's largest florist, serving Canadians for over ten years and with over a million customers served. We love Canada and our national holiday is certainly a good time to celebrate. This year marks the 148th anniversary of the day that Canada became a nation, when Upper Canada, Lower Canada, New Brunswick and Nova Scotia united to become one dominion. Prior to 1982, this celebratory day was called "Dominion Day" and only became Canada Day thanks to an act of Parliament declaring it such. Today we often celebrate with picnics, parties, BBQs and fireworks. 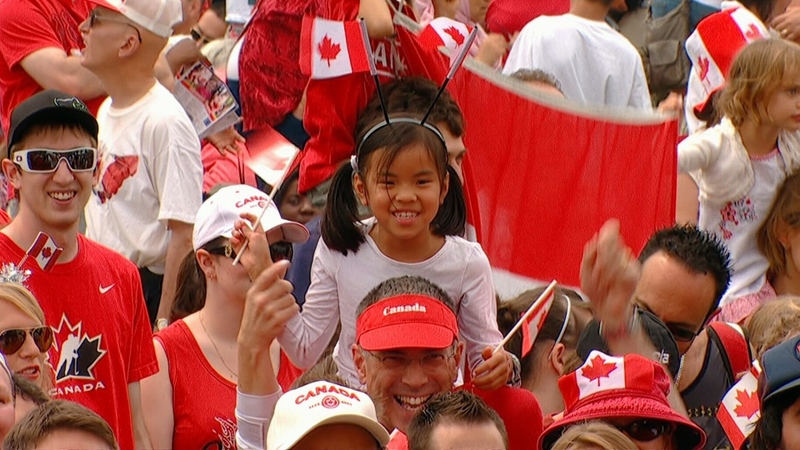 It's a family event that unites all Canadians young and old, coast to coast. If you are hosting a Canada Day event this year, whether it is a supper at the cottage or a picnic in a park, it's always a lovely idea to add some fresh flowers to your decorating. A few gourmet treats are always welcome too! To help get the party going this July 1, Bloomex provides delicious homemade cookies and gourmet cakes, baked fresh in assorted yummy varieties, that you can order up or send to a loved one for their celebration. What is more Canadian than fresh Atlantic lobster? 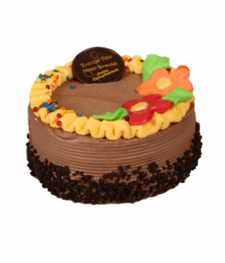 Send a real treat to someone across the country, or order for yourself. Bloomex lobster is fresh caught, flash frozen, and shipped directly from our Halifax facility. This lets you enjoy a delicious gourmet feast this year, at the best prices around! 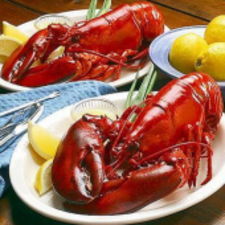 We have lobster in various size orders, from one to twenty. 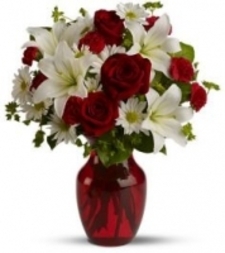 We've included a few of our best red and white bouquets for you here, with more choices at Bloomex.ca. And remember, we can always create a custom bouquet, just for you! However you choose to honour our national holiday, we wish you a happy and healthy event. Check the website for even more great gifts and flowers. 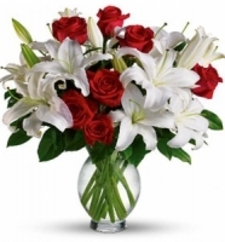 Always & Forever Bouquet is a gorgeous "Canada Day" choice featuring fresh red roses and beautiful white lilies, perfect to dress your table this year. Crimson Delight is sure to add that pop of "Canada red" to set off your picnic or BBQ with style. 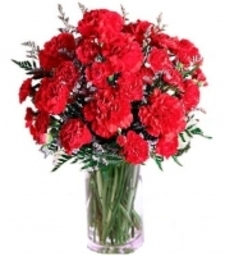 The Bestseller Bouquet is one of our most popular choices all year, and is especially perfect for Canada Day!